OFFICIALS yesterday noted a relatively low turnout of religious devotees who participated in the annual Black Nazarene procession in the city. 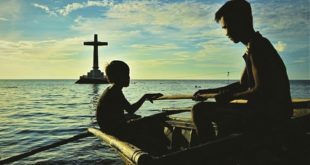 From about 200 thousand last year, only about 50 thousand people took part in the morning procession from the St. Augustine Cathedral to the Nazareno Church in downtown Cagayan de Oro, said Supt. Robert Delos Reyes, chief for operations and planning of the Cagayan de Oro City Police Office. The Traslacion procession started at around 5 am after a mass at the St. Augustine Cathedral, and was concluded at around 7 am at the Nazareno Church on CM Recto Ave.. 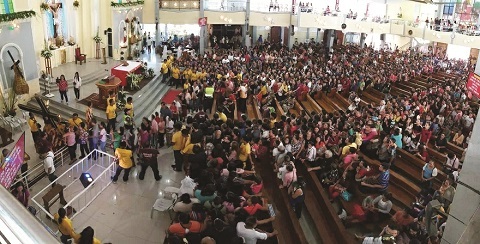 This year’s turnout as estimated by the police was a far cry from the anticipated 200 thousand procession participants that the police, Roman Catholic leaders and local officials anticipated based on the 2018 procession turnout. Police said many joined other religious activities related to the Feast of the Black Nazarene but opted not to take part in the actual procession. Supt. Mardy Hortillosa II, city police spokesman, said the crowd may have easily reached as many as 250 thousand, including those who attended church activities and onlookers on the procession route from the cathedral to CM Recto Ave. via Fernandez Street, Don Apolinar Velez Street, Recto Ave. up to Barangay 26. Hortillosa said many chose not to join the actual procession. The Traslacio activities here were relatively peaceful and orderly. 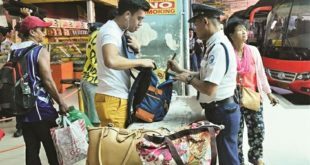 “Walay naeport nga untoward incident during the Traslacion,” he said. Councilor Romeo Calizo, chairman of the city council’s committee on police, fire and public safety, said several factors may have resulted in the relatively low turnout during yesterday’s annual procession. 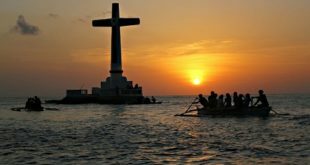 One factor, he said, is that similar Black Nazarene feastelated religious activities were also staged in other Mindanao areas like Tagum City. Another factor, he said, are the many restrictions. “Ang uban, wala na sab mokuyog sa Traslacion kay daghan man sab ang gidili sa kapolisan,” Calizo said. The restrictions include back packs, caps, sunglasses, and jackets. People were also told not to bring children, and elderly and people with disability were discouraged from taking part in the procession. Because of these, many who heard the 4 am mass at the cathedral opted not to take part in the procession, said Calizo. He opined that the raised alert level in the city did not have anything to do with the low turnout.